China is incredibly important in the modern world, and apart from its incredible tradition and specific, delicious cuisine, it also manufactures numerous products we need and use daily. Yet, its industry has been under the public eye recently, due to the deficiency of standards, and people have started to avoid Chinese imported products. 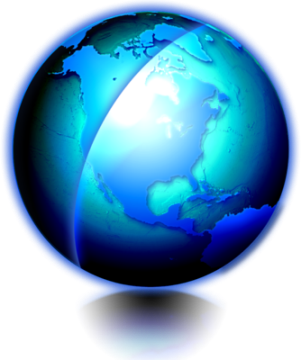 Namely, there have been some outrageously cheap Chinese products on the market, full of toxic ingredients, and these have been sold in the United States and all over the world. The ginseng root as a popular medicinal plant, and it has been commonly used in China for over three millennia. Its prices have been raised rapidly, so numerous ginseng tried to find a way to make a profit and started boiling it in sugar, in order to make the root heavier. Wei Feng, a Chinese medicine expert from the National Institute for Food and Drug Control (NIFDC), claims that it is a major issue, not only the retailers are ripping off the customers, but also because this procedure actually removes the nutritional values. He found that the natural ginseng has 20% content of sugar, and the fake one includes up to 70% sugar, and it highly harmful for health. Reports claim that fake peas have been produced from the Hunan province, China, in 2005. The story published in a local newspaper claimed that these peas were hard even after boiling, and turned the water unnatural green color. Manufacturers profited hugely by these peas, and investigation found that one of these illegal workshops were producing fake peas for 3 years, and was then shut down. Fake peas were made of snow peas and soybeans, with the addition of green dye and sodium metabisulfite, which served as a preservative and bleach. This dye is banned due to its properties which cause cancer and also inhibit the ability of the body to absorb calcium. Sang Liwei, a Beijing-based food safety expert, claims that this product was also used in Hunan and Guangdong before. According to him, Chinese officials only label a case a food safety incident when at least one person dies due to it, so potential adverse effects of such products and the misuse of additives are not labeled, nor banned. There are some instructional videos on Chinese websites which show a way to make $70 a day by producing and selling fake eggs. These fake eggs contain harmful ingredients, including Gelatin, Alginic Acid, Calcium Chloride, water, Potassium Alum, and artificial color. They eggshells are made from Calcium Carbonate, and the consumption of these eggs leads to memory loss and dementia. 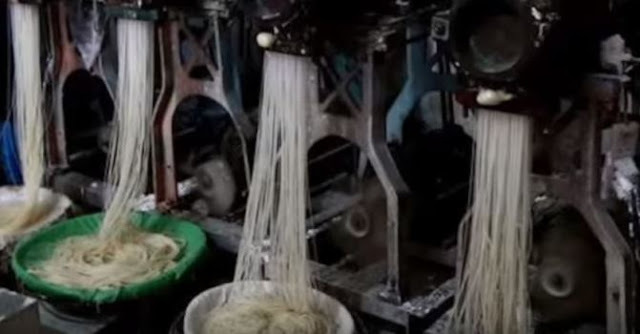 The Chinese authorities found that a facility located in Zhongshan city, China, which produced at least 5.5 tons of fake noodles. Numerous people complained about the strange taste of the sweet potato noodles. The investigation of the authorities found that these noodles consisted of corn with an industrial ink, which provided a purple color, and paraffin wax. Chinese authorities have found fake rice sold in China. This rice is believed to consist of potatoes and a synthetic resin! This rice stayed hard after boiling and caused the same adverse effects as fake peas, and its long-term use leads to cancer. Once again, the purpose of the manufacturers was to profit from the fake variant, while selling it as the popular type of Chinese rice called Wuchang. Due to the adverse effects of its consumption, the industrial salt is labeled as “unfit for human consumption,”, but it is much cheaper. Within the last 13 years, 788 tons of it was sold by at least 12 people. This harmful salt leads to mental and physical issues, including reproductive system disorders and hypothyroid issues. Pork is much cheaper in China, so it has been sold as beef in Chinese restaurants. It is chemically processed, added a beef extract and a glazing agent to “marinate” it in 90 minutes. Experts recommend people to stay away from the fake beef meat, as its long-term use leads to deformity, poisoning, and even cancer. The CBS News reported that almost 50 people were accused of manufacturing fake instant baby formula, which caused numerous deaths in children in the Fuyang province, China in 2004. This instant baby formula included only a few nutrients, and it was mostly made of chalk. All the children who consume it developed a “big head disease”, manifested by swelled heads, and slow deterioration of the rest of the body. This is shocking as well! In China’s Guangdong Province, it was reported on the local news that a market vendor sold local mud as black pepper. Also, the white pepper was mainly made out of flour, and when he was caught by the authorities, he only said that his product would not kill people. Unbelievable! In 2012, a Chinese guy has purchased shelled walnuts in Zhengzhou city, China, and he found broken concrete pieces inside. The concrete has been wrapped in paper to prevent the suspicious noise when the nut was shaken. He intended to sell these walnuts and profit a lot, as they are much heavier than the real ones.